Fifty years from now, a historian - probably Chinese - will write the history of the fall and decline of America as a superpower. The main argument will be that America's short-lived experiment with democracy failed due to its inherent flaws: 1) Elections favoured candidates with charisma, superpac funding, and media support, not competence or experience. 2) Political parties pitted people against each other, encouraging tribal identities. 3) Governments swung between left and right, resulting in erratic and short-sighted governance. 4) Laws and policies didn't reflect the will of the people, negating what was claimed to be a main advantage of the system. The historian will grandly conclude that after the fall of the Soviet Union, America collapsed in on itself as it no longer had a common enemy to unite against. The study will of course be ignored as obscure history and merely academic. 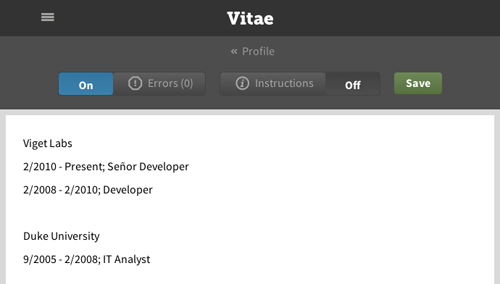 I’m the Development Director at Viget in Durham, North Carolina. I’m also an avid reader, traveler, cyclist, musician, coffee fiend, and friend of birds.